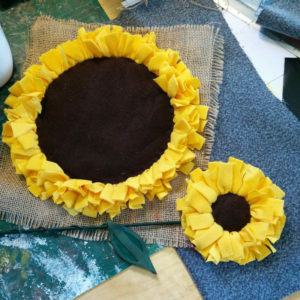 Learn to make a range of bold fabric flowers with padded centres and petals formed using a rag rug technique. I like to use a combination of fleece & jersey for the petals to give a variety in tone & texture as they reflect light differently. 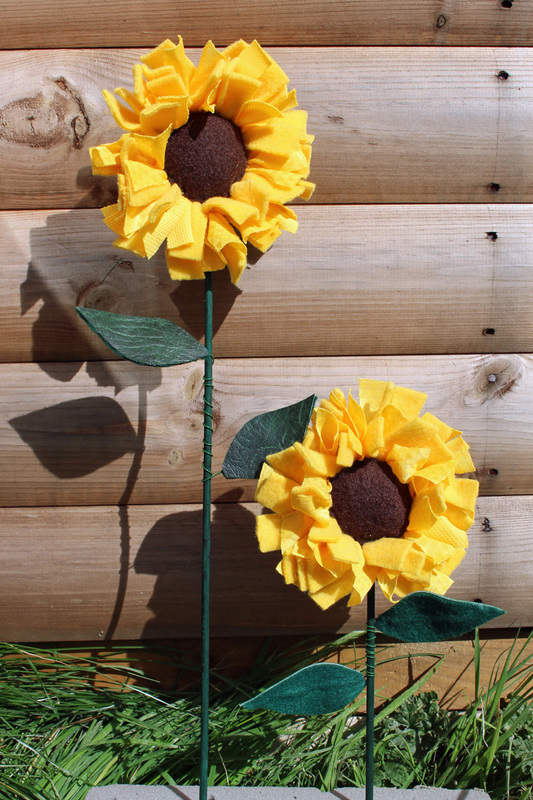 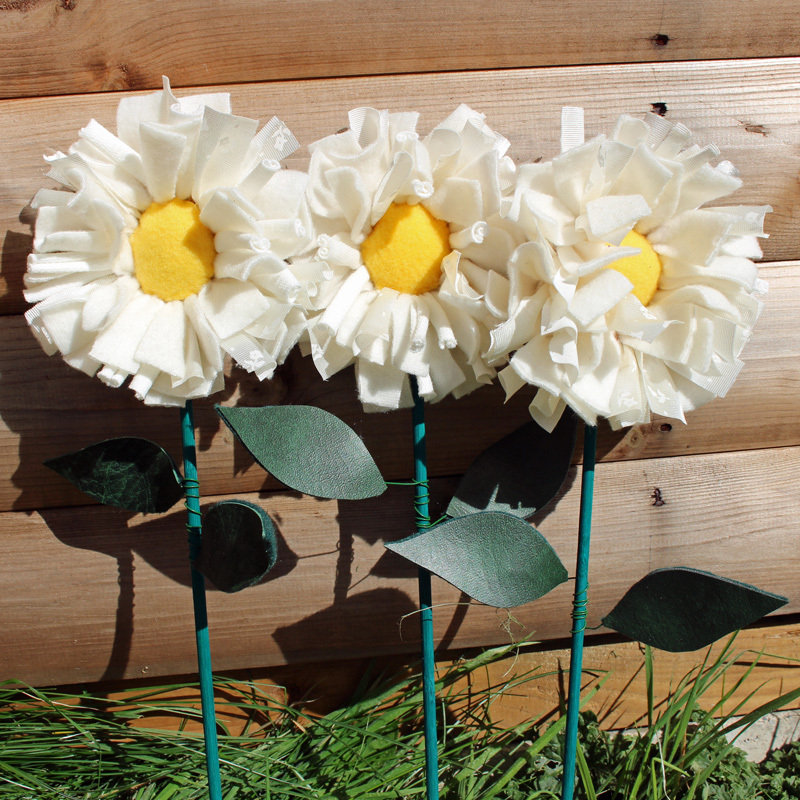 They are mounted on green garden pea sticks with wired leaves in fabric or card. 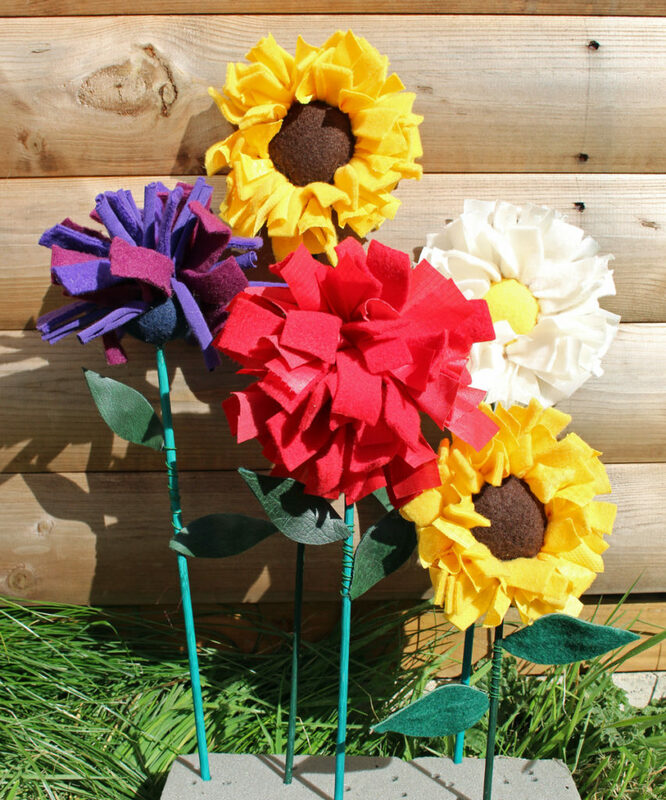 They look effective either on their own or grouped as a collection. 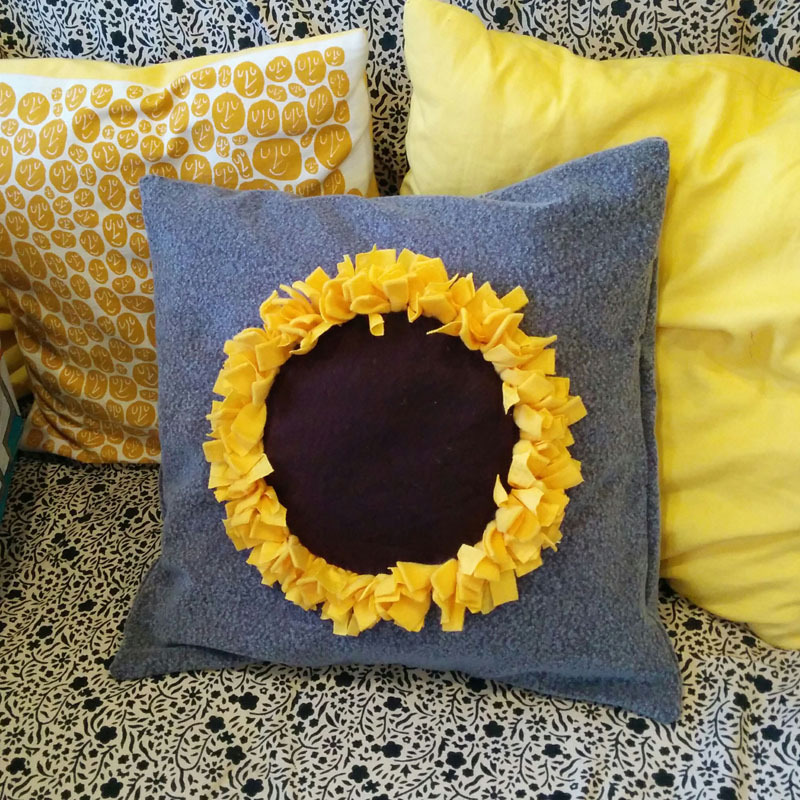 Large versions look good on cushions. 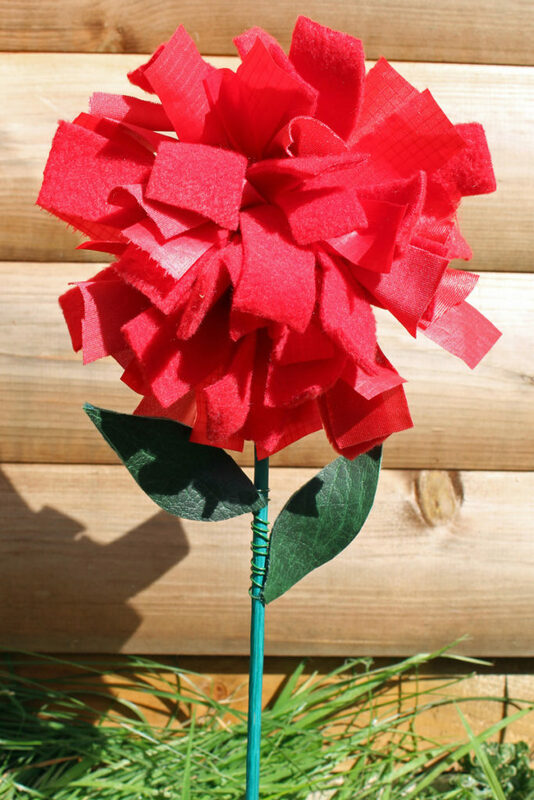 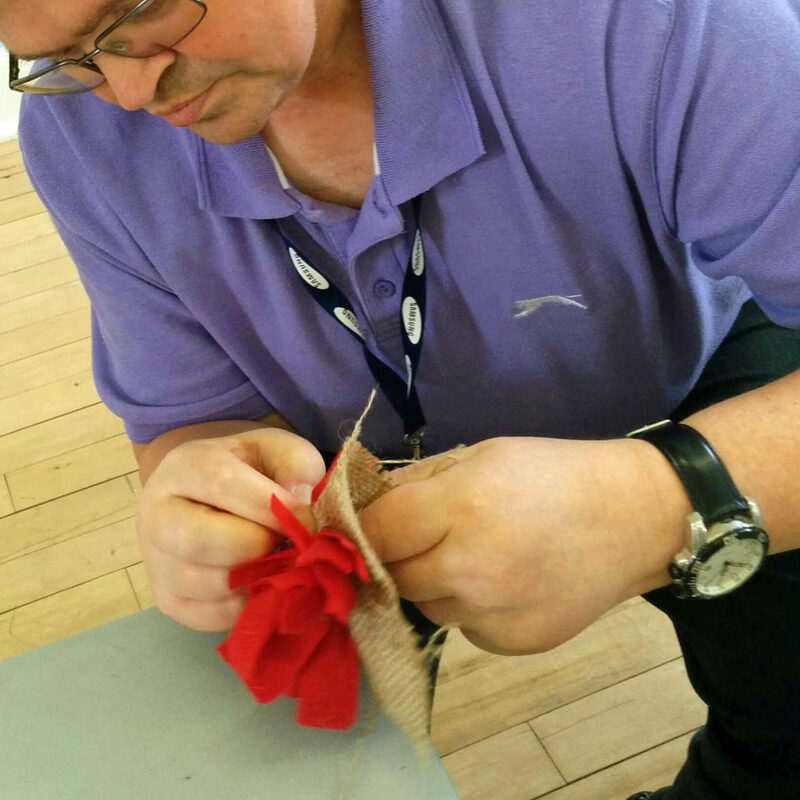 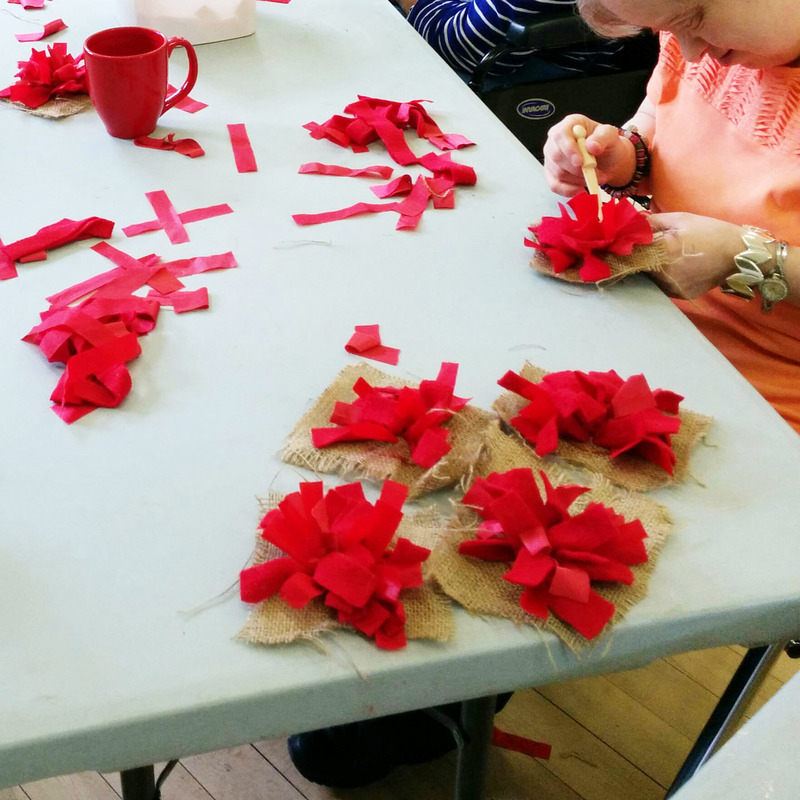 DIY Theatre, a learning disabled theatre company based in Salford, hosted a version of this workshop making a collection of red carnations to add texture to there applique teepee that was the central piece of Following the Thread, a piece of touring theatre in special schools. 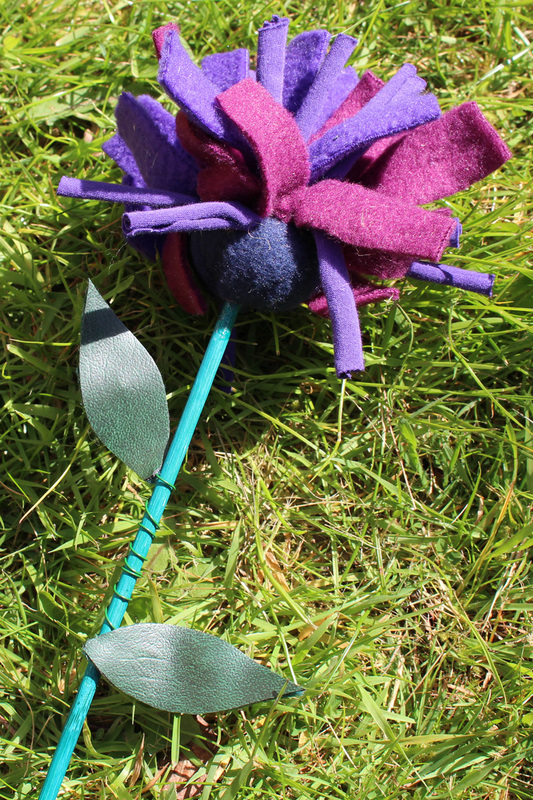 I will be running this workshop as October’s Craft Social at Salford Museum & Art Gallery. 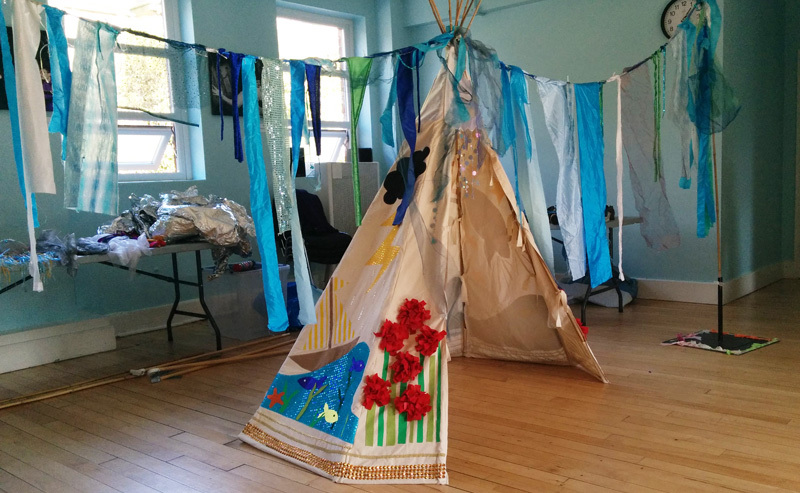 Get in touch if you would like me to run it at your venue or with your group. 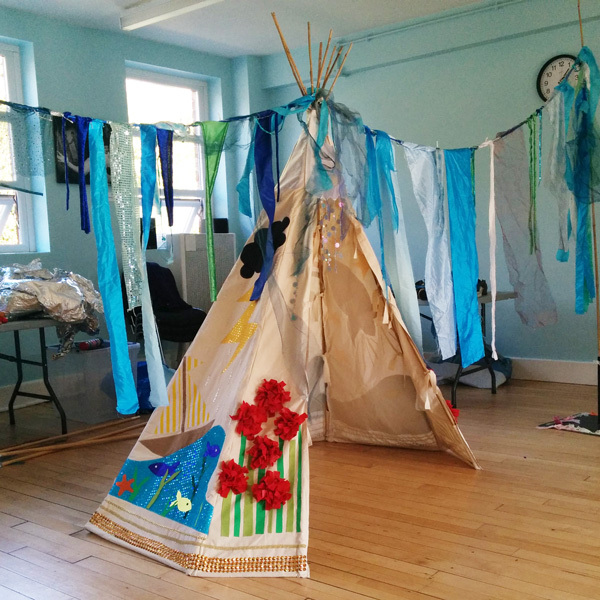 I have been Associate Artist with learning disabled led theatre company, DIY Theatre, since 2006 running design workshops as part of developing new shows and creating props, sets and costumes for these.